This is my favourite Royal Essence bath bomb so far. It looked so pretty while it fizzed. 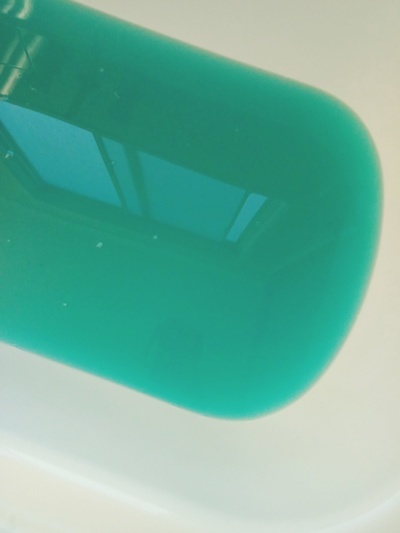 The blue and yellow in it eventually blended together to turn the water a deep teal, with a little silver glitter. It smelled sugary and contained a sterling silver ring with clear, sparkling stones. This is one for those who love bright colours. Have you seen Wyrmwood: The Road of the Dead?